Our wide collection of furniture includes very fine pieces from all over western Europe including Itlay, France, England as well as the Orient. 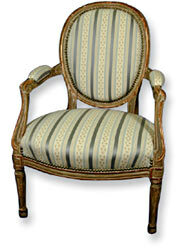 Dating from the 17th-19th century, each piece has been hand picked for its unique and fine qualities. Petit Musée's spacious showroom allows for a collection of both moderate size as well as many large pieces. Our collection is constantly being refreshed with newly acquired items each with the exclusive qualities that make Petit Musée's collection so exquisite.